If you read my earlier post, I just finished shooting with a Kodak Easy Load film camera. Need to take the film in for development to see how she works. What next you ask? 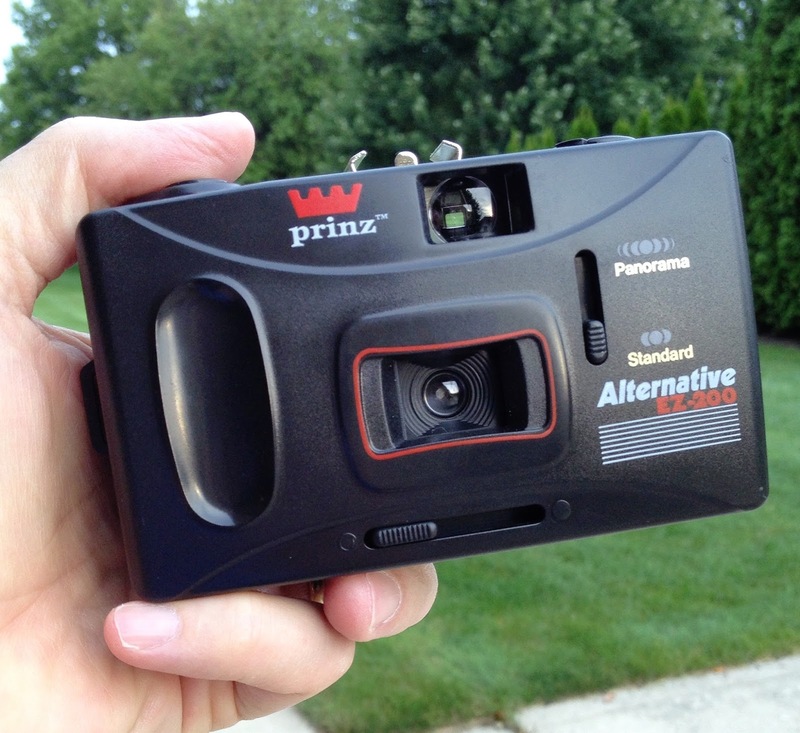 I rummaged through my pile of film cameras and came up with this cheap point & shoot. The Prinz Alternative EZ-200. OK, I know nothing about this camera and haven't found much online in a quick search. All I know is it's "Alternative". Hmmm, it shoots "Standard" & "Panorama". It's living a bi-lifestyle. Cool, I don't judge. You can tell this is a cheap camera because there is a weight added in the bottom to give it a more substantial feel. However, it appears the weight has broken loose and now it's rattling around the base. Another of my Goodwill finds. More later.